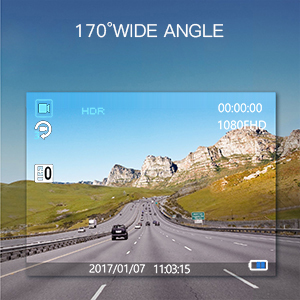 • 1080P Full HD & 170° Wide Angle: Excellent 1080P Full HD resolution with a 170° wide-angle lens provides you with outstanding picture quality. The wider field of vision can effectively reduce blind spots. 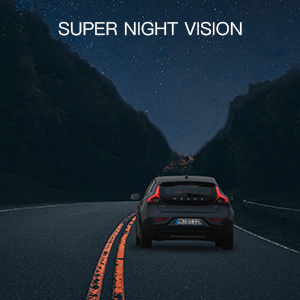 • Super Night Vision: Equipped with an Advanced Sensor and an F1.8 wide aperture, the C420 gathers more light and eliminates the need for an auxiliary light source even in low-light environments, making it easy to obtain sharp, colour-accurate images. • G-Sensor & Emergency Accident Lock: The built-in G-sensor technology automatically saves footage in the emergency events for you. When collision or crash happens, it will prevent the authentic video sources from deleting. You can rest assured that your dash cam will capture critical details whether you are driving or letting it monitor your parked vehicle. 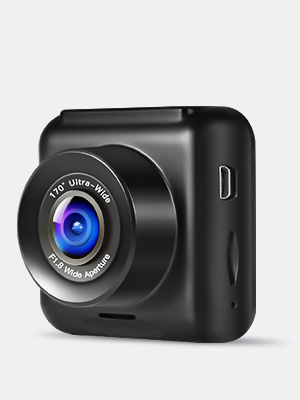 • Loop Recording & Motion Detection: The loop recording function ensures the SD card will never fill up and you will always be able to capture the latest footage. 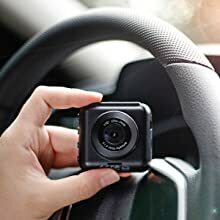 With the motion detection function, the dash cam auto records and locks the video files if a collision or shaking to vehicle movement is detected, which takes away the worry of manually deleting files and saves important evidence in the case of an insurance claim. • Mini Size & Easy to Use: The C420 Dash Cam is equipped with a 2.0'' TFT-LCD screen. The compact button design makes an easier operation. The smaller size avoids blocking line of sight through both the windscreen and rearview mirror, making it a safer option whilst driving. The installation takes about 2 minutes. A” means "Advanced”. It is the newest series of APEMAN. 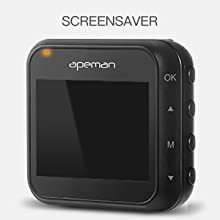 This series is independently designed and developed by APEMAN which is different from other versions of the apeman dash cams. It has been fully upgraded in terms of quality especially in the sensors. We combine the most advanced design ideas of the Internet with industry-leading technologies to create stylish, practical and reliable products. APEMAN C420 Series A, mini exquisite shape but provides all the necessary features to secure your road trip. The upgraded Starlight sensor has an outstanding performance even at night. Once plugging in the car charger, easy operation and quick start will let you start driving confidently. Supports a Class 10, 32GB max micro SD card (Not Included). Please format it on the camera before use. APEMAN Dash Camera features a high-end video processor that records at 30 frames per second in 1080p resolution. Smoothly captures fast moving scenes for you. 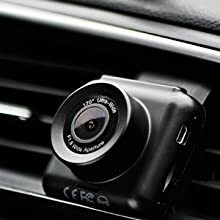 APEMAN Dash Camera adopts a 170°ultra wide-angle all-glass lens, which monitors 3 lanes without lens distortion to reduce blind spots and capture more details. 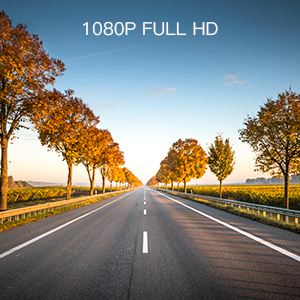 Equipped with an f/1.8 large aperture, C420 Dash Cam provides an artistic 1080P image under low light conditions. Together with the highly sensitive dynamic range, it delivers superbly clear images, even at night. The dash cam is lightweight and portable but compact and functional. With carefully selected material, it is wear-resistant, lightfast and high-temperature resistant. Accompany with your car longer and better. 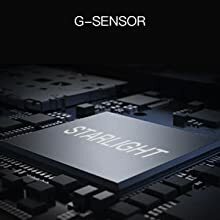 Adopting an advanced image sensor, with the large unit pixel size and high sensitivity area, the lens can produce more detailed and sharper images by allowing more light to pass. This feature is enabled by default, the screen would be off while recording, which could save more energy. So you would not be distracted while driving. If you don’t need this function, it can be turned off in the settings.